Hello and welcome. 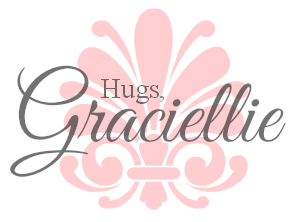 It's Gracie from Graciellie Design and I'm excited to be here once more, to share with you a new project. 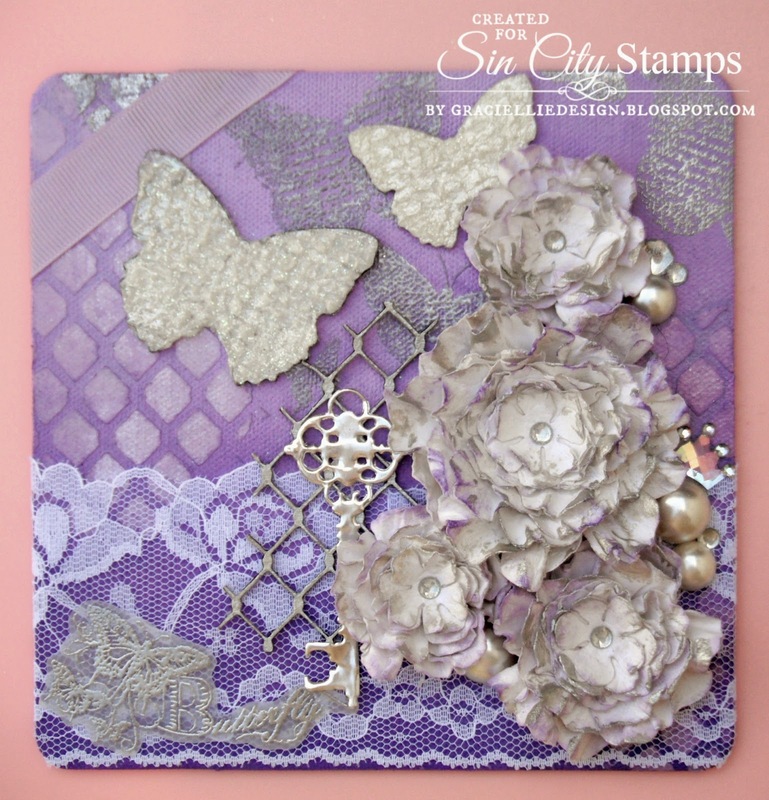 This month Sin City Stamps has partnered with PanPastel, and I am very excited! 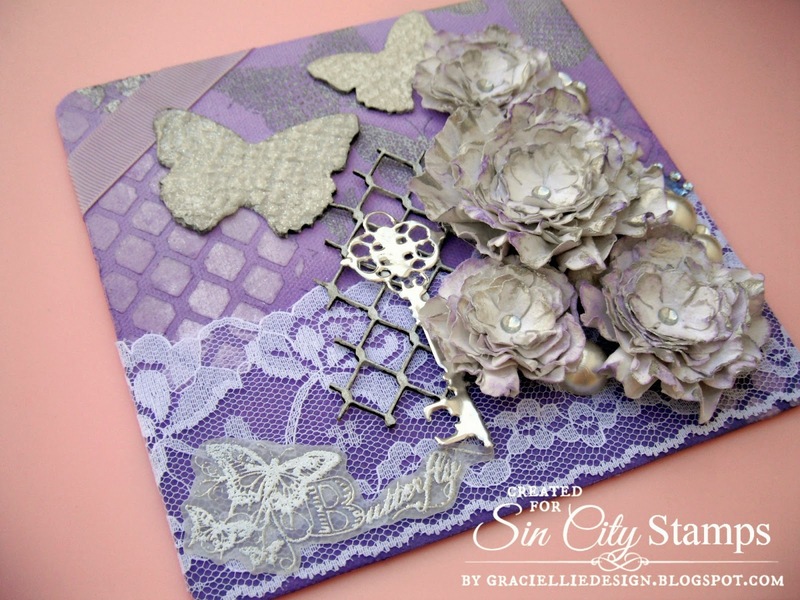 My teammates have been presenting such creative projects on the Sin City Stamps' blog showcasing products from both companies, and they've done an amazing job. PanPastel is such a forgiving medium, it blends so well, it can be corrected with a simple eraser, and it has such rich color, it's is a delight to work with them! 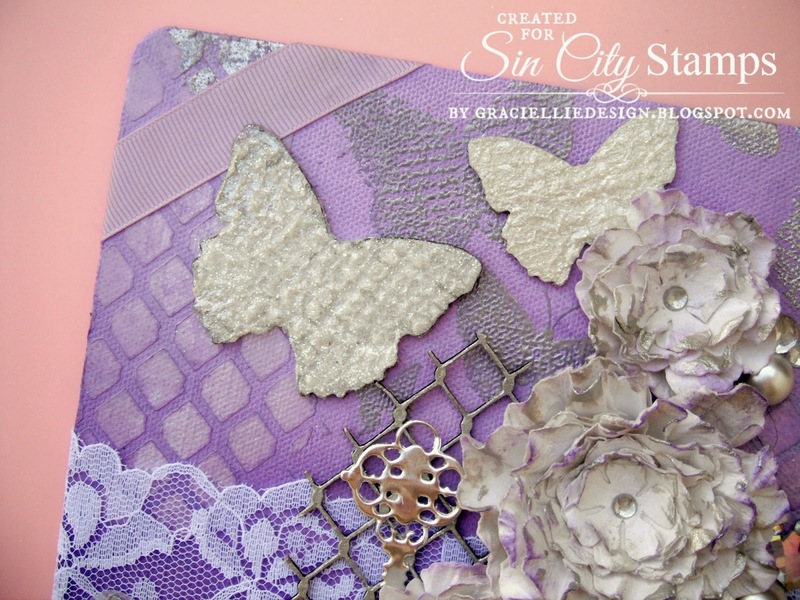 For my project I used PanPastel in Lilac and Lilac Tint together with Sin City Stamps chipboard pieces and rubber stamps. 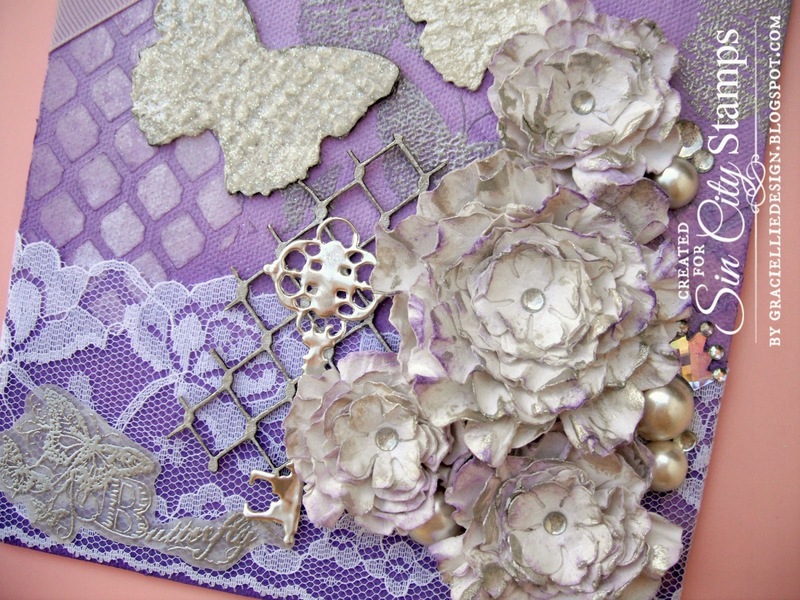 I made a canvas, embellished with handmade flowers and many other elements. I have a step by step tutorial for you! Please click on start the guide below to check it out. I hope you enjoyed my project and tutorial as much as I enjoyed making it and I hope you are inspired to try it out too! If you have any questions feel free to contact me through a comment here or at my blog. 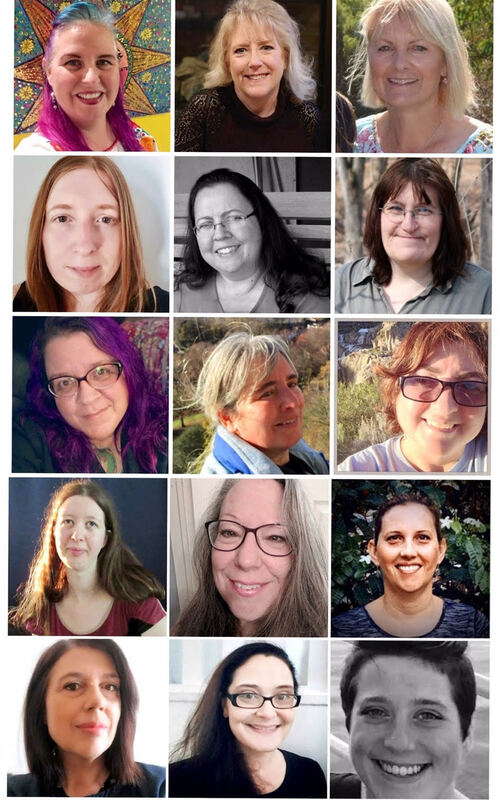 Gorgeous project!! Love the layers! 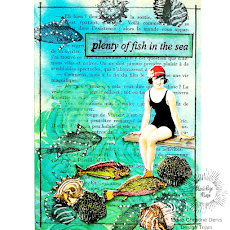 Love your beautiful canvas project, Gracie! It is gorgeous, and your tutorial is wonderful! Love it Gracie, Great job! Not sure how I missed this but it is amazing.. Love it!!! Thanks so much Laura! It's never late to like and share. Hugs!